September 29th is a special day for savvy savers. The date is dedicated to two free beverage-based holidays you’ve probably never heard of until today. National Coffee Day, presently the top trending topic on Google, is making mainstream headlines because everyone loves a good giveaway. Many Dunkin’ Donuts locations and regional coffee chains are offering free java to commemorate National Coffee Day. Not to be overshadowed by the bitter beverage, Budweiser is promising free beer for National Happy Hour, starting September 29th. The catch is the brewer can’t say which bars are offering free beer due to some state and local liquor laws. Did we mention both coffee and beer are terrible for your sleep? Caffeine use, especially at the wrong time of day, can cause insomnia. Some people - especially nurses as a recent survey reported - lean heavily on coffee to make up for lost sleep. That can turn into a vicious cycle that continually steals your sleep. Alcohol is sneakier about stealing your sleep. Drinking can make you fall asleep faster, but you’ll wake up feeling unrested. Alcohol changes your sleep architecture so you spend more time in deep sleep at the expense of restful REM sleep. If you must drink coffee, make sure it’s in the morning or early in your work shift. And don’t overdo it or you’ll feel some unpleasant side-effects. To Budweiser’s benefit, happy hour is the best time to consume alcohol. 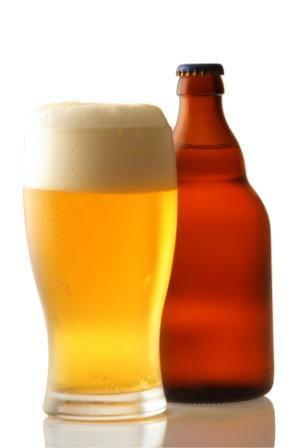 Drink in moderation in the early evening so your body will process the alcohol before bedtime.